The last time China's soon-to-be leader visited Iowa, he slept in a bedroom with green shag carpeting and Star Trek character cutouts on the walls. He ate eggs with a spoon because his host forgot the chopsticks. 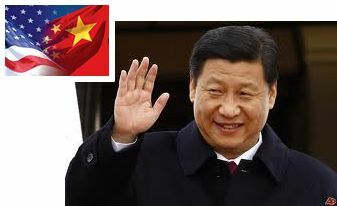 Xi Jinping (shee jeen ping), currently touring USA remembered the 1985 stay fondly and he insisted on returning this week to Muscatine, a small farming community he toured to learn about crop and livestock practices.